The Generation R study is a large population based prospective cohort study from early pregnancy onwards until adulthood in the city of Rotterdam in the Netherlands. The study is designed to identify early environmental and genetic causes and pathways leading to normal and abnormal growth, development and health during fetal life, childhood and adulthood. Specific interest is in the effects of fetal and early childhood conditions on health and disease in later life. One of the many main outcomes in the Generation R study are new or well known risk factors in childhood and adulthood for cardiovascular diseases. 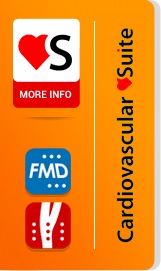 This study is the first to examine the association of vascular-related pregnancy disorders with maternal and childhood vascular and cardiac function, using novel and unique techniques, in a large prospective cohort design. The measurements will form a basis for further follow-up studies in which risk factors of cardiovascular disease will be studied. 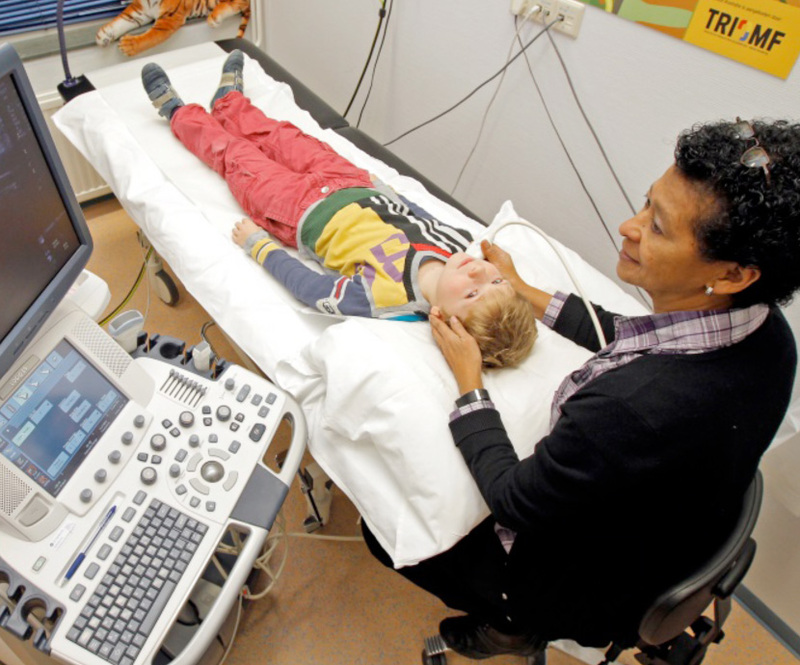 Generation R works in Rotterdam, Netherlands, in the Sophia Children’s Hospital. Cardiovascular suite is the Quipu device used applicable for multiple sonography systems and offered the opportunity to measure IMT and elasticity proxies offline after the images are made in our research center. The offline analyses works on a quite high speed, which makes it easy in use and gives us the relevant outcomes instantly. 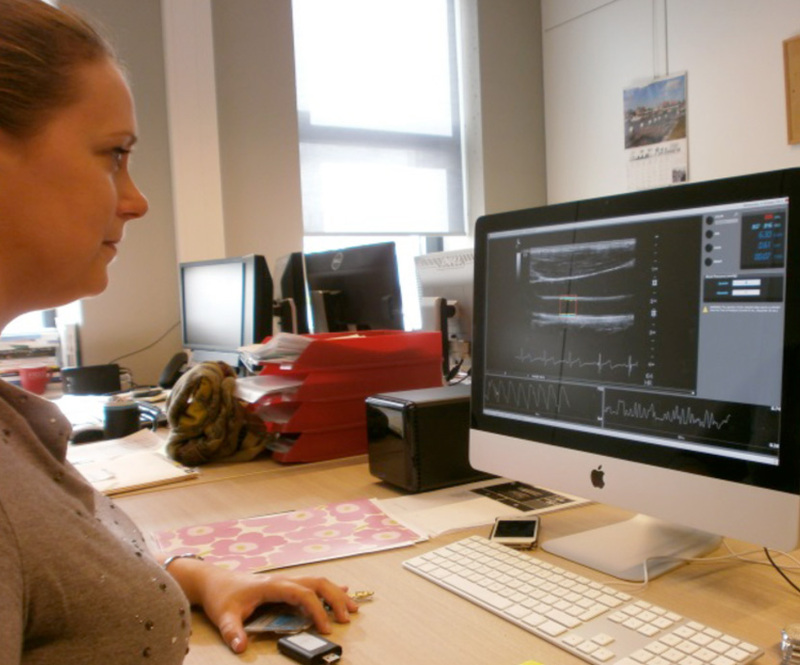 Moreover Cardiovascular Suite gives us the opportunity to delete some parts of the video clip of which are not suitable for analyses. In this way we are able to directly monitor the quality of the given output. Since we can observe the results instantly we can edit the measurement by ourselves so that a satisfactory measurement is performed. An advantage of Cardiovascular Suite for our research is that is useful for the measurement of both mother and child. The study is designed to identify early environmental and genetic causes and pathways leading to normal and abnormal growth, development and health during fetal life, childhood and adulthood. At our research center we make the video-clips. The actual analyses are made on a later time-point. We were in need to find software to make this able in an easy and sufficient way which is also compatible with our sonography videos. Specifically, we were interested in software measuring the intima media thickness (IMT) and proxies for elasticity (for example distensibility and Young’s module). The Cardiovascular Suite is being used in the Generation R Study. In our research it is useful to analyze multiple data offline in an easy and efficient way, which is applicable for maternal and childhood data. With these results we will be able to do research in assessing cardiovascular health in both mothers and children which allows us to develop preventive strategies in the future to reduce risk of cardiovascular diseases. coefficients were all above 0.90. In the near future we will also perform a practical inter- and intraobserver variability study in which we’ll measure mothers and children several times to also evaluate the practical intra-and interobserver variability.